Stein will receive the Israel Defense Forces and National Service Young Leadership Award. The awards were announced today. Also being honored are Professor Charles Sprung, Director of the General Intensive Care Unit at Hadassah Medical Organization, in the field of Science and Medicine; Jon Medved, founder and CEO of OurCrowd in the field of Entrepreneurship and Technology; Rabbi Dr. Seth Farber, founder and executive director of ITIM in the field of Community and Non-Profit; Chana Reifman Zweiter, founding director of Kaleidoscope Mainstreaming Network in the field of Education; and Asher Weill, consultant and editor of English publications for Limmud FSU for Culture, Sports & Arts. An additional Lifetime Achievement Award is being given to Tal Brody for his contribution to shaping and impacting Israel through sports and dedicated public relations efforts on behalf of the State of Israel. Hundreds of immigrants from English-speaking countries, including Australia, Canada, New Zealand, South Africa, U.K. and the U.S., were nominated for the prize. The prize recognizes outstanding Anglo immigrants who have helped Israel in a meaningful way by encapsulating the spirit of modern-day Zionism and contributing in significant ways towards the State of Israel. “It has been incredibly inspirational, for the second consecutive year, to see the remarkable number of Anglo Olim who are making a significant impact on the State of Israel. These Bonei Zion Prize recipients exemplify how Olim are making historic advancements and contributing, each in their own field, to the success of the country and our nation,” said Nefesh B’Nefesh Co-Founder and Executive Director Rabbi Yehoshua Fass. “We hope that highlighting the achievements of these Olim, in addition to expressing our gratitude to the recipients, will serve as a catalyst to inspire others to make Aliyah and follow in their footsteps. Founded in 2002, Nefesh B’Nefesh works with the Israeli government and The Jewish Agency for Israel to revitalize Aliyah from North America and the U.K. by removing or minimizing the financial, professional, logistical and social obstacles of Aliyah. Services have been provided to over 42,000 newcomers. Stein is “affectionately referred to by his peers as ‘Dr. Golani.” He is regarded as an unusual case even by the standards of lone soldiers, those who immigrate to Israel without their families and enlist in the IDF. Stein, son of Susan and Michael Stein, is an alumnus of the N.E. Miles Jewish Day School. He earned his doctorate in biomedicine from the University of Alabama at Birmingham and then decided to immigrate to Israel and join the IDF. 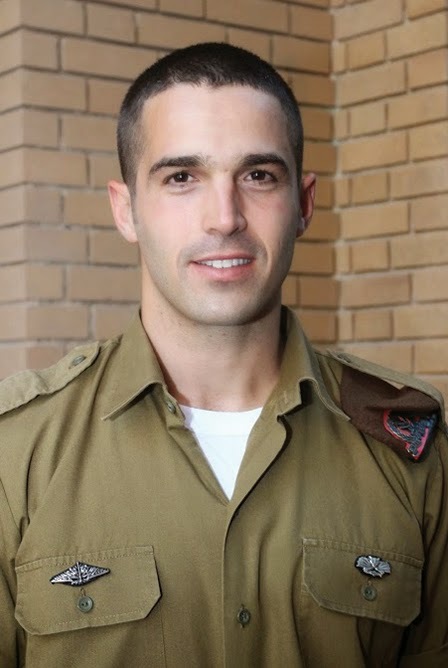 He had volunteered in Israel in 2009 and set a goal of becoming a soldier in a combat unit, though he was much older than most entering the IDF. He beat the odds and was accepted to the elite Golani Brigade, telling skeptical high-ranking commanders who told him only four men near his age had ever been accepted to a combat unit that he would become the fifth. He has spoken to Friends of the IDF Southeast gatherings and in October returned to Birmingham to speak at the joint Israel Bonds and Birmingham Jewish Federation and Foundation event. He was part of last summer’s ground operation in Gaza.